Do you find yourself challenged with any of the following? Faced with a design or engineering project that maybe beyond your skillset or experience? Just landed an aggressive time-to-market design project and wish you knew how to use your design tools more effectively to improve your efficiency and speed? In need of Signal Integrity, Power Integrity to improve the performance and reliability of your design? In need of a thorough DFM review before going to Fabrication and Assembly? 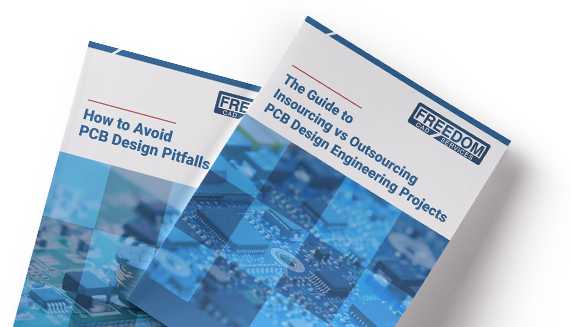 Have the desire for someone to review and provide feedback for your printed circuit board design or system concept? Have a difficult engineering challenge and need to bounce your ideas off a senior electrical or mechanical design engineer, but you don’t know who to call? Would like to have your library logic symbols and footprints reviewed or created? Would like to get a small quantity of really quick turn prototypes built and don’t have time to go through the lengthy processes of a contract manufacturer? If any of these sound familiar, then maybe we can help you. Our team of expert PCB engineers and layout designers are available to provide their inputs and reviews that can help to identify potential issues and problems that can often go unnoticed by the engineers and designers who are looking at the project every day, and may not see the ‘forest through the trees”. Freedom CAD Services offers expert electronic engineering assistance and consultations on an hourly basis. You can send our engineers your schematic, layout and/or other documentation for preliminary review, talk by phone, skype, or even share desktops via Go-To-Meeting, in order to go over ideas and details. Our Engineering Consulting Services has a 2 hr minimum billing.